Scale: 1:48. 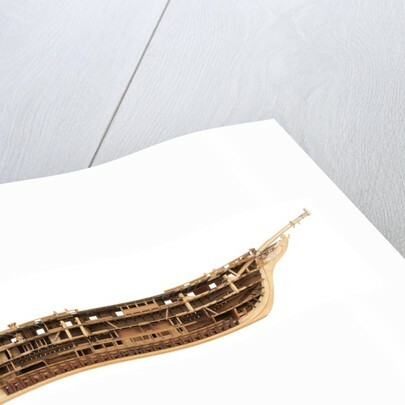 A model of a longitudinal section of HMS 'Pique' (1834) showing its method of construction and internal layout and made entirely in wood with metal fittings. 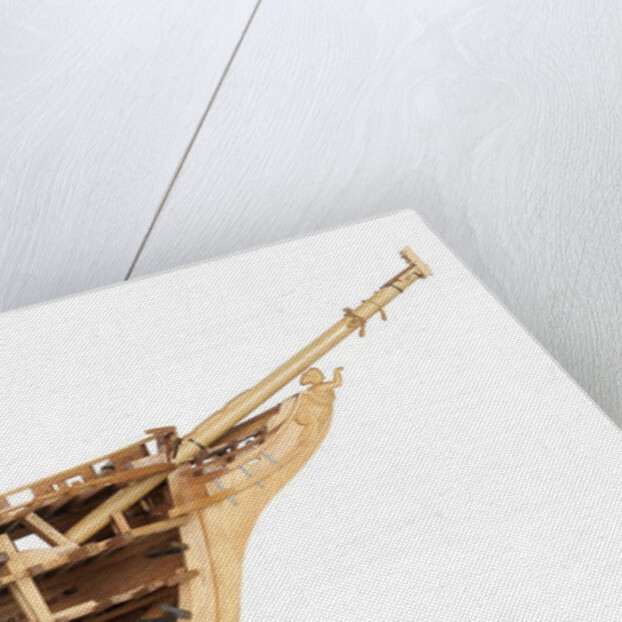 The framing, hull, and deck planking are made from wood of various varieties and colours, all unpainted. The port side is shown in frame below the waterline and almost fully planked above with channels and deadeyes in position. 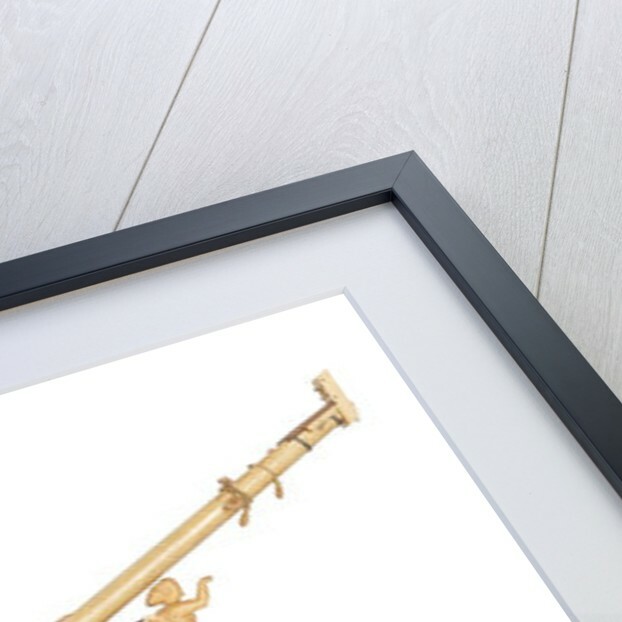 Hull fittings and details include, on the port side, a cathead, whisker boom with block attached to one end, female figure head, a stern davit and port quarter gallery. The single maindeck is shown partly planked and fittings include provision for three masts, capstan, and double wheel. The starboard side is shown unfinished with only the lower frames in position, though the keel, stempost, sternpost, and deadwood are all complete. 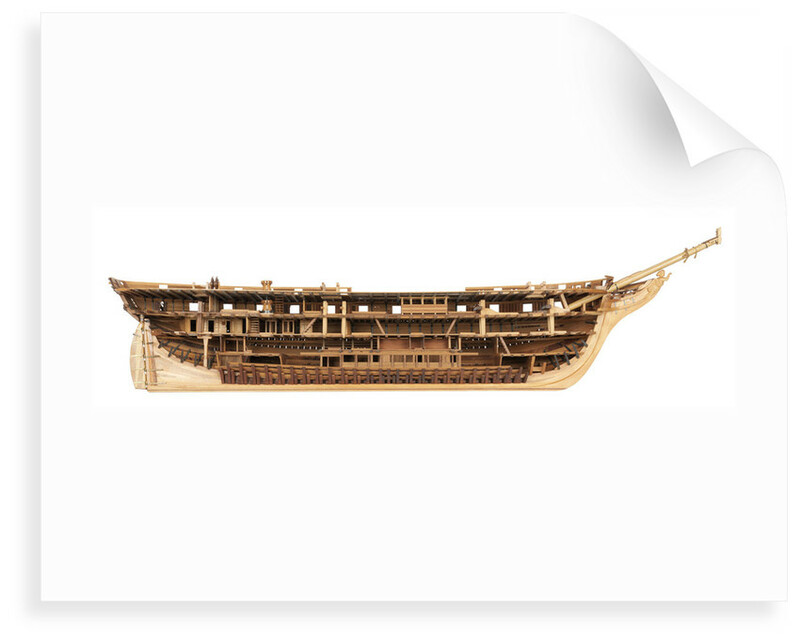 The frames and some of the planks, the gundeck, maindeck, and orlop deck are shown, all incomplete showing their construction, internal arrangement, access, and some fittings. Loose fittings include two standard admiralty pattern anchors, bowsprit, and a box of loose fittings. More by the artist Edward Austin Percy.